Injection foam is the absolute best way to retrofit a home for huge energy savings and potential tax rebates. Injection foam can save you up to 60% in heating costs a year. This can add up to $15,000 over twenty years. Because injection foam expands, there is minimal risk to damaging your walls during the injection process. MJW uses injection foam that has an R-value of 5.1 per inch. This product gives you an excellent air seal. The retrofitting application is typically done from the exterior of the home by removing a row of siding and drilling a half-inch hole through the sheathing underneath. 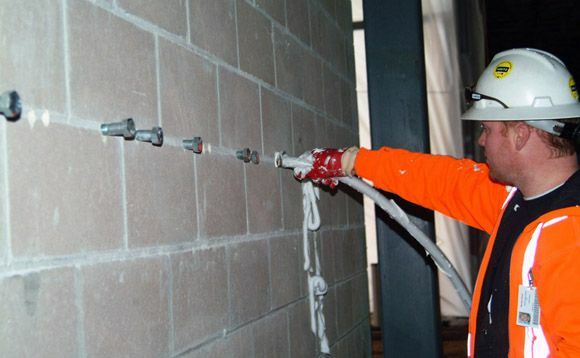 Our experts then insert a hose into the wall and begin the injection process. When the injection is complete, we put a 2.5 inch wood plug inside the whole, cover the plug with felt paper and reinstall your siding. In some rare situations this process is done to the interior where the siding cannot be removed. 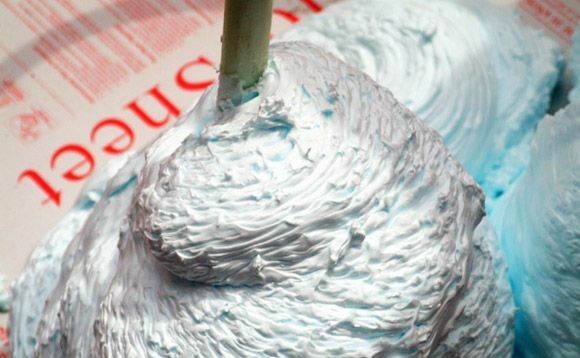 In these cases, drywall patches and paint touch ups are needed. This process is also used in cinderblock homes or commercial buildings with cinderblocks. We drill a 5/8 inch hole in the mortar joint, insert a reducer into that hole and begin the filling process. This product is used in Lowe’s, Walmart and Home Depots across the US. Learn about the benefits of injection foam and how you can save money on your energy bill (603) 601-6283. There is no cost involved with tearing down walls with injection foam. This combined with greater energy efficiency and minimal environmental impact make injection foam a no brainer for any New England home. Our injection foam is a safe product that has a two hour fire rating. We can literally melt a penny on a one-inch chunk of foam with someone’s hand underneath it without burning them. Injection foam is the very best retrofitting insulation product on the market.